Scores 31 Highway MPG and 21 City MPG! 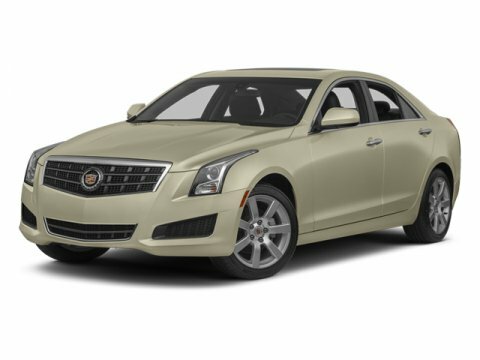 This Cadillac ATS boasts a Turbocharged Gas I4 2.0L/122 engine powering this Automatic transmission. WHEELS, 17" X 8" (43.2 CM X 20.3 CM) POLISHED ALUMINUM (STD), TRANSMISSION, 6-SPEED AUTOMATIC (STD), TIRES, P225/45R17 ALL-SEASON, RUN-FLAT (STD). * This Cadillac ATS Features the Following Options *SUN AND SOUND PACKAGE includes (CF5) power sunroof and (Y26) CUE and Navigation, COLD WEATHER PACKAGE includes (KA1) heated driver and front passenger seats and (UVD) heated steering wheel rim , SUNROOF, POWER, STEERING WHEEL, HEATED RIM, SEATS, HEATED DRIVER AND FRONT PASSENGER, SEATS, FRONT BUCKET (STD), RED OBSESSION TINTCOAT, RECEPTACLE, POWER, 110V, LOCATED IN REAR OF FRONT CENTER CONSOLE, LUXURY PREFERRED EQUIPMENT GROUP includes standard equipment, LPO, PREMIUM ALL-WEATHER FLOOR MATS. * Stop By Today *Stop by Bleecker Buick GMC located at 926 E 4Th Ave, Red Springs, NC 28377 for a quick visit and a great vehicle!